Do you have a future engineer in your home? A model lover? How about a history buff? Or a child who is interested in wars or weapons? 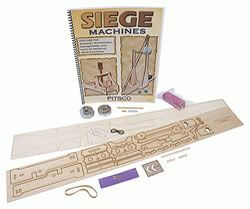 The Pitsco Medieval Machines Pack is a fantastic resource for any of the above students and many more. 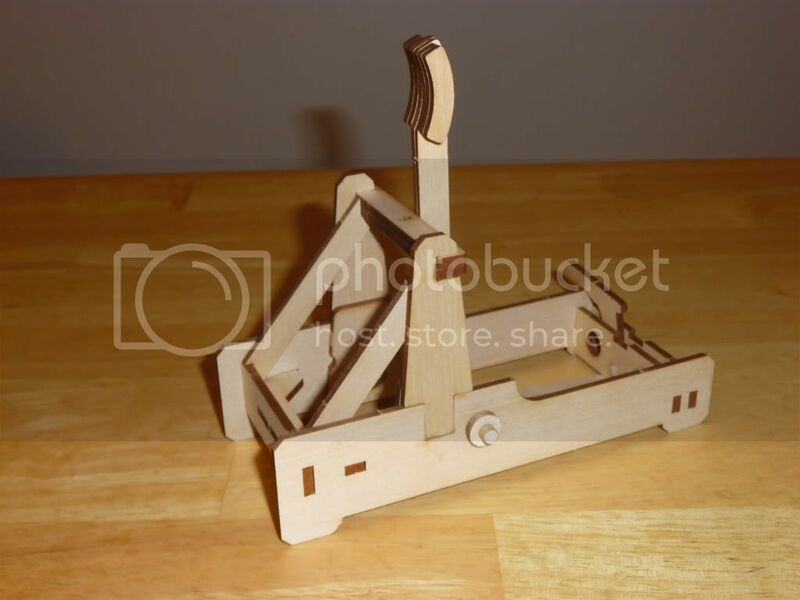 Designed to be used by students about 5th grade and up, this pack contains kits to build both a model catapult and a trebuchet. Also included are weights for the trebuchet, clay for launching, assembly instructions, and a manual with experiments to perform using the catapult and trebuchet. Both of the machines are made of strong but lightweight basswood. The pieces are stamped into a single piece of wood and are punched out just before assembly. The assembly required a few additional items, such as glue and a hobby knife. My 13 year old son assembled both the machines with minimal assistance from me. He thought the trebuchet was more difficult to assemble than the catapult because the instructions were not as clearly written. Also the sling for the trebuchet required tying knots in string, and it was difficult to achieve the same length of string on both sides of the sling to make both sides even. After assembling the machines, the real fun begins. In the Siege Machines book are various experiments designed to be performed with the catapult and trebuchet. The catapult experiments begin with mass versus distance. Different sized clay balls are launched from the catapult, and the distance the ball travels in the air is recorded for each. This experiment is followed by two math sections to practice converting between the English and metric system and calculating averages. Then the physics behind the catapult is explained, followed by another experiment testing different rubber bands. The trebuchet section begins with an explanation of the science behind the trebuchet. I found this very helpful, because I was not familiar with a trebuchet before this project. There is a discussion on prediction with an experiment testing different masses of projectiles and different masses of plates. Further experimentation with the trebuchet involves attaching wheels and learning about their affect on the operation of the machine. This is hands-on learning at its best! Students gain valuable skills in following instructions while assembling the machines. 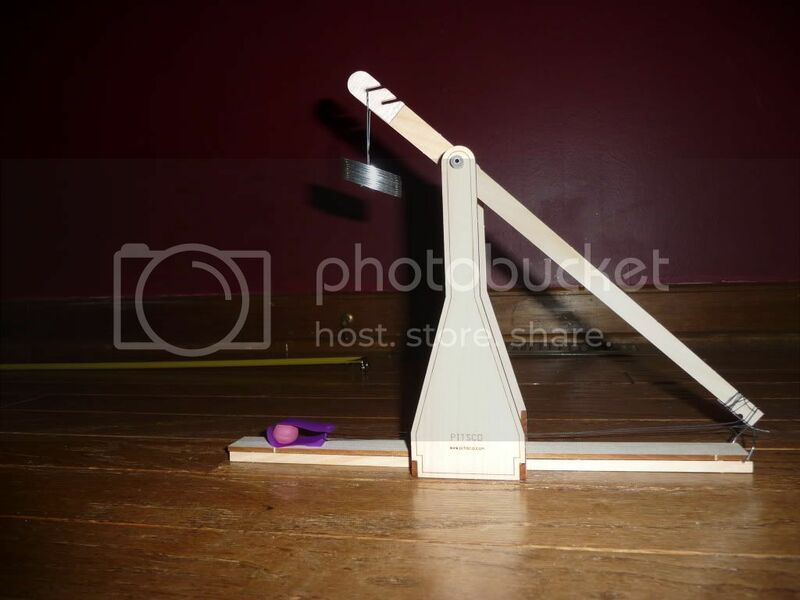 They can learn about the uses of the catapult and trebuchet in warfare, while learning about physics. Students learn firsthand about experimental error and the need for repeating data points. I’ve had my son go a step further and use EXCEL to plot the data, so he’s learned about using formulas in spreadsheets, as well as curve fitting tools. He also has made a video of the assembly and each of the experimental points. He was able to understand the motion of the trebuchet much better after watching a launch in slow motion. Here’s my son’s finished video of the catapult assembly and a trial launch. Here’s the trebuchet in action. The Medieval Machines pack is available for $21.95 from the Pitsco website. They have many other interesting products too! 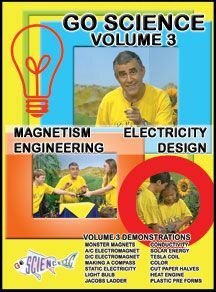 My son and I have thoroughly enjoyed these projects, and I highly recommend them. Thanks Pitsco! Disclosure: I received this product for free in exchange for my honest review of the product. I was not compensated for this review. All opinions expressed are my own.